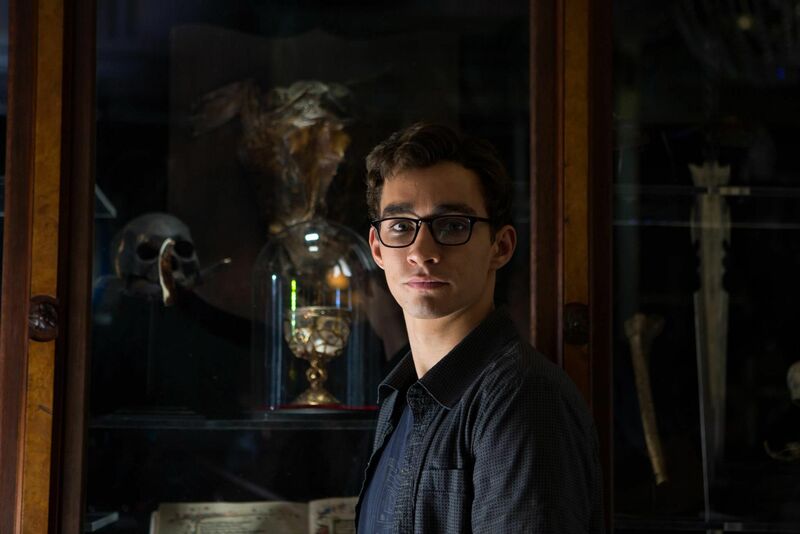 Set in contemporary New York City, The Mortal Instruments: City of Bones tells the story of Clary Fray (Lily Collins), a seemingly ordinary teenager who discovers that she is the descendant of a line of Shadowhunters, a secret organization of young half-angel warriors in an ancient battle to protect our world from demons. 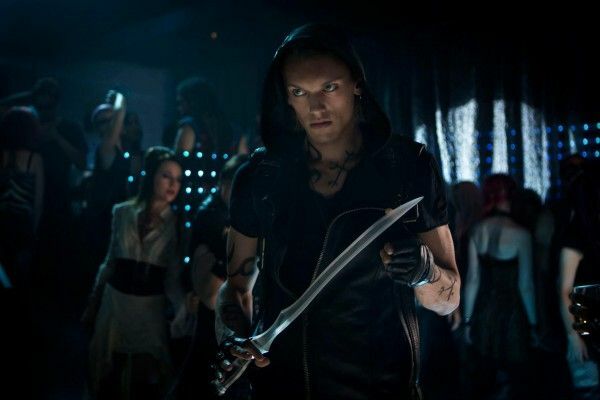 Adapted from the book by Cassandra Clare, action-adventure fantasy also stars Jamie Campbell Bower, Kevin Zegers, Jared Harris, Jonathan Rhys Meyers, Lena Headey, CCH Pounder and Aidan Turner. While at Comic-Con to promote the film and share footage with fans, director Harald Zwart spoke to Collider for this exclusive interview about wanting Cassandra Clare involved with the filmmaking process, how challenging it was to get this complex world and story down to a manageable length, following his own instincts during the editing process, how much deleted footage there is, what a privilege it is to get the second film greenlit before the first is released in theaters, that he’s deep in prep for a September start date for shooting, and what he’s most looking forward to with the second film. Check out what he had to say after the jump. Collider: Was it always a given for you, that you wanted to have Cassandra Clare be so involved with the filmmaking process? HARALD ZWART: Yeah. We had early meetings and obviously she was curious to hear what I had to say. I think we just found the tone, really quickly. She understood that, in addition to making sure that it was an exciting movie, with all the creatures and everything, I really wanted to make sure that the audience would understand Clary’s journey. When a girl sees that her mom is kidnapped and there’s a creature in her house, how does a normal girl react to that? I think we did a really nice job making sure that tracked true. And she’s been amazing in understanding the filmmaking process, all the way through. She’s been there when we needed her, and she’s let the filmmakers do the filming, whenever we needed to. How challenging was it to get this complex world and story down to a manageable length? ZWART: Incredibly challenging, up until the very last cut. With the last version of the movie, we were still working on the backstory and trying not to cheat, and making sure that people who hadn’t read the book, also understood the movie. It’s a big book with a lot of stuff, and we had a limitation in length and money. That was really hard. How long was the first cut of the film, and how much did you have to take out? ZWART: The first cut was too long. It was actually a normal first cut length, I think. It wasn’t disastrously long. The first cut was way over two hours, but it had to be. We had to see the whole thing before we understood what the movie was. It’s amazing how you think you need something. You almost have to write it, shoot it and put it in the movie, only to cut it out. And then, the scenes before and after have the DNA of that existing information. It’s a fascinating process, and I really don’t know how we do it, every time. Do you make those editing decisions by instinct, or do you have people whose opinions you listen to and trust? ZWART: Yeah, I always value people’s opinions. I think a lot of people are really smart people, and when people say something, they do it for a reason. And when enough people agree on something, I’d be an idiot, if I didn’t listen. I’ve never made any choice or done anything that wasn’t what I think it should be. I’ve never compromised, but I do listen. Are there a lot of deleted scenes that you could include on the eventual DVD? ZWART: Yeah, there are quite a few. It’s not so much deleted scenes, as it is trimming existing stuff. It’s only when you have the whole thing that you discover how much you really need. It’s amazing how much that the younger audience gets, without you having to spell it out. That’s an education for me, each time. You have all these explanatory lines of the characters, and you go, “Let’s just drop that,” and then the scene lives even better because people say them in their minds instead. Is it exciting to know that everyone involved liked what they saw enough to greenlight the second film already? ZWART: Yeah! It’s a privilege to have the second movie greenlit before the first one comes out. I really do appreciate the awareness and the hype that the fans are creating. I, myself, have become totally addicted to checking out the fan art. They take our stuff and make it almost much better than what we ever could do. I love that! Are you going to direct the second film, as well? ZWART: Yeah, I’m already deep in prep on the next one. What are you looking forward to with the second film? ZWART: I think the next movie is going to be very exciting with Simon’s character. He has a whole journey. We have a very interesting new character coming in. I can’t say who it is yet, but she’s called The Inquisitor. She’s a no-nonsense type of woman. I think the second one, hopefully, will just be able to dig even deeper into the psychology of these people. ZWART: Yes! We’re shooting in September. We’re still working on it, and I think we’ll be working on it, up until the day we shoot, but we have it. With so many young adult books being adapted for films now, what was it about this one that ultimately made you sign on? ZWART: Just like with Karate Kid, I never looked at it like a kids’ movie. We all agreed – everybody behind the movie – to not call it that. They said this was young adult fiction, and in the book store, it is under young adult, but it has a really tough and active main character. She doesn’t necessarily listen to people’s advice, and I think she’s a really admirable character. She learns that everything she thought was real is not real. She’s been tricked by her parents, all these years. I just found that really fascinating. How would you deal with all of that? That was the thing that drew me, and not necessarily just the monsters and effects. Do you think the key to the success of films like this is to always remember the characters and the character development, and not lose sight of that with the effects? ZWART: Yeah, I think so. There’s no great movie where you haven’t been emotionally connected to the main character. There are a lot of movies with vampires and monsters and super-great effects, but if there’s no humor or human relations, I don’t think it’s ever worth seeing. At least, that’s my opinion. 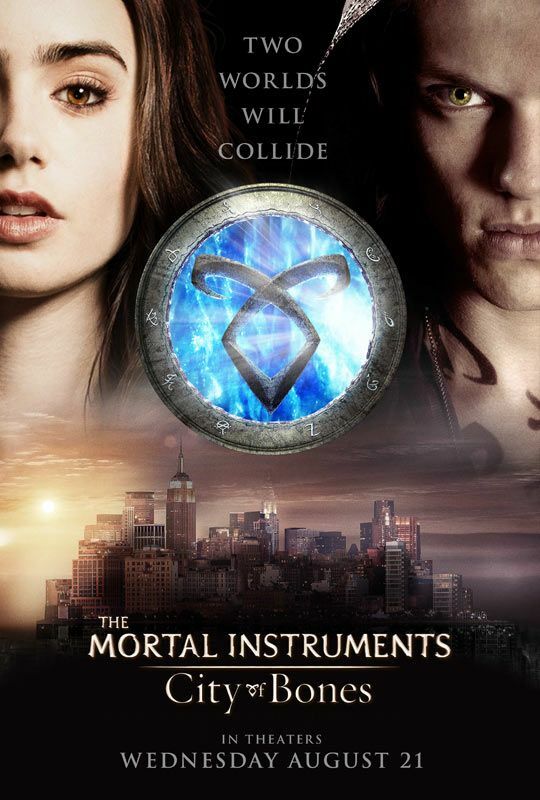 The Mortal Instruments: City of Bones opens in theaters on August 21st.